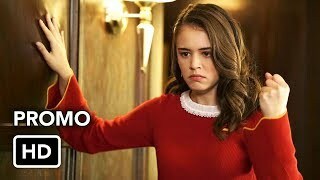 Legacies 1×04 “Hope is Not the Goal” Season 1 Episode 4 Sneak Peek #2 – FOLLOWING THE TRAIL — When two local students go missing, Alaric (Matthew Davis) sends Hope (Danielle Rose Russell), Lizzie (Jenny Boyd), MG (Quincy Fouse) and Landon (Aria Shahghasemi) to Mystic Falls High to investigate. 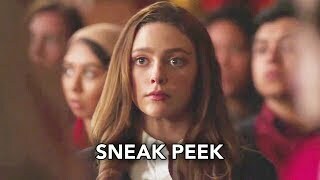 Meanwhile, as Josie (Kaylee Bryant) helps Rafael (Peyton Alex Smith) adjust to his new life at the school, his reluctance to follow the wolf pack’s rules puts a target on his back. Lastly, an unsettling discovery puts Alaric and Sheriff Donovan (guest star Zach Roerig) at odds with one another. Chris Grismer directed the episode with story by Brett Mathews and teleplay by Bryce Ahart & Stephanie McFarlane (#104). Original airdate 11/15/2018.